I like these very modern Alice and Mad Hatter interpretations. There was a kid’s show on Disney in the 90s (https://en.wikipedia.org/wiki/Adventures_in_Wonderland) and this reminds me of that show. The colors this week are great again. I think these all work together because of the colors. It’s tough to make mix & match sets! Aww thank you. It’s been fun. Mix and Match is hard! Especially spread across the week. I sometimes think of mixing it up and just doing whatever I feel like, but then I think the themes keep me grounded a little. 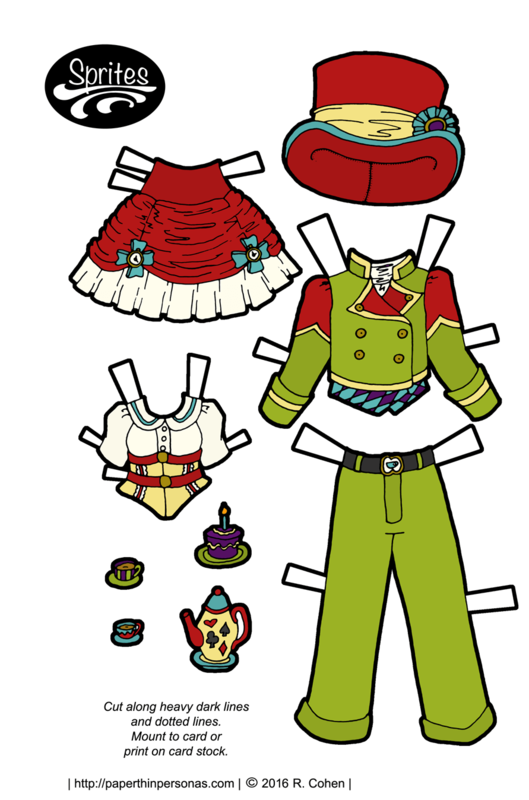 Will these new dolls and the old dolls be able to exchange outfits?